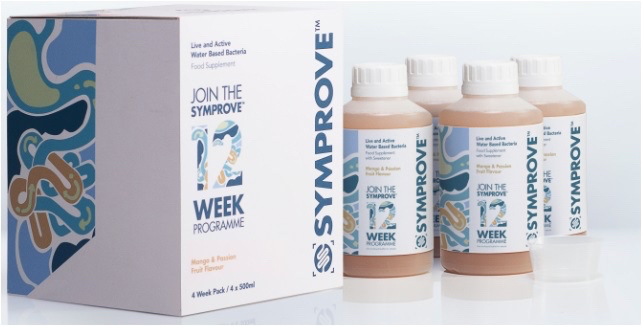 It’s with both excitement and nervousness that I’ve just signed up for another 12-week Symprove trial. I’m throwing aside my needy home-brewed probiotic and taking a ready-made bottle from the fridge instead. Why? Because I’m genuinely curious to see if there will be any difference in my symptoms, swapping from one probiotic to another. I originally tried Symprove at the end of last year and saw positive results but due to buying our first place, I couldn’t afford to pay for Symprove. I’m on another trial and this time it’s a battle of the probiotics. My home-brewed version, made of water kefir grains, sugar water, raisins and lemon fermented together for 48 hours versus Symprove, a water-based multi-strain supplement that contains 4 unique strains of live activated bacteria. Recently my IBS has been all over the place and I’m struggling to find a happy medium again. I also know that if my daily routine goes out the window my symptoms raise their ugly heads. Cue my upcoming holiday, heat, different food and cocktails and I’m gearing up for an IBS nightmare. Luckily, Symprove contacted me at the best time and told me that their bottles were travel friendly, meaning I should hopefully be able to fend off any gut trouble. So, over the next 12 weeks I’ll be blogging about the differences, how it effects my symptoms, what’s it like to go on holiday with IBS and everything in between. Wish me luck. Find out more about Symprove.